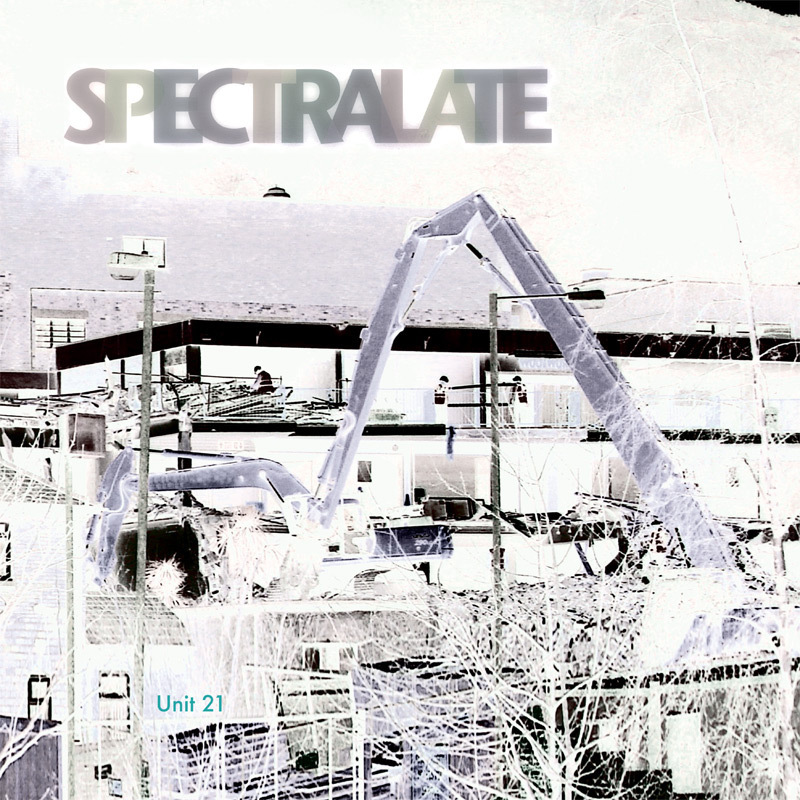 Spectralate's third LP is a darker record than its predecessors, being a meditation on loss, both of deceased friends and of the optimistic community spirit of the European Union. It is certainly more angry than previous releases, and although the duo never resort to polemic, there is a tangible pent up political anger here. The title 'Unit 21' references a shop in Bangor which sold second hand records and books during the mid '70s and whose demolition is depicted on the front cover. The teenage Alan used to meet up with his late school friend and long-time collaborator Maeyc there every Saturday morning where the proprietor would introduce them to all manner of wonderful sounds and reading material each week - more often than not originating in other European countries. These discoveries were totally life-changing. It's fair to say that this LP would have been quite different without Unit 21. The LP is released on the 2nd anniversary of Maeyc's death and is dedicated to him. Unit 21 is released as a limited edition vinyl LP on October 2nd 2017 and is available from our shop. The LP also includes a CD version of the album.